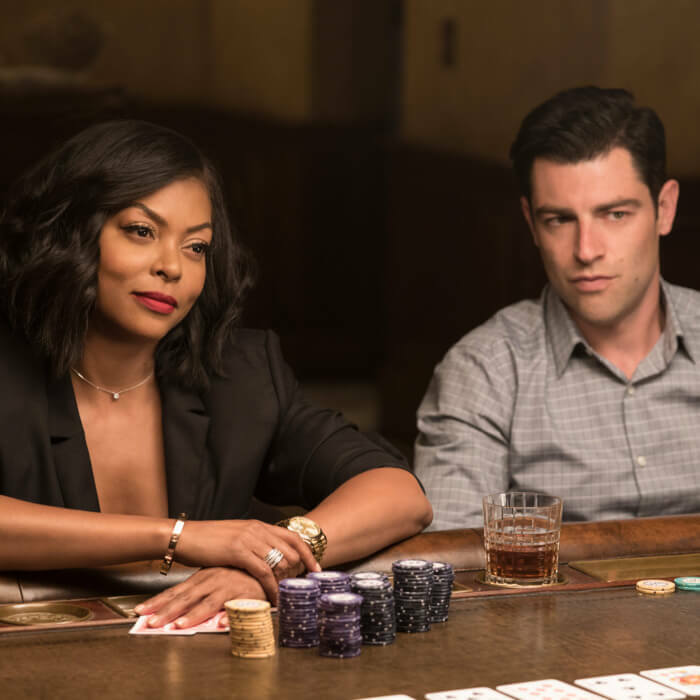 Adam Shankman’s What Men Want finds delight in the dizzying comedic turn from Taraji P. Henson (up from “Proud Mary” and most known for starring on TV’s Empire). Her man-eater (as opposed to Gibson’s chauvinistic lothario) in Atlanta sports agent Ali Davis will be able to listen to the thoughts of those guys on her radar. Earlier, Gibson’s ad executive Nick aimed to use his edge against his boss though his feelings had a change of heart. Here, the talented, competitively driven Ali is hitting a wall when it comes to her male colleagues being difficult from her resilient, outspoken nature. Instead of electrocution, a bonked head and a brew from a cannabis-dealing psychic, a disarmingly peculiar Erykah Badu, allows Ali to gain access to male devices and desires. A replicated premise can be indolent and this time the emotional hook isn’t that vital. The director creates a certain mojo that veers from Meyers in ways that tap into elements of his better efforts like Bringing Down The House and Hairspray. Letting Henson (who started out in Baby Boy and was prominent in Hustle & Flow opposite Empire co-star Terrence Howard) loose of Ali’s inhibitions provides amusing broad strokes. Like when handling a partner like one played by Aldis Hodge dealing with his ‘reproval’ that leads to a more adverse situation. If this interpretation isn’t as irresistible Women was well before TimesUp (without the star status to give it more deserved box-office clout) it musters enough charm to appease a wider demographic. Partly with Richard Roundtree and Tracy Morgan (The Longest Yard, Cop Out, Death at a Funeral -2010) and more often with Josh Brenner as privy gay assistant Brandon with whom bristly exchanges undercoat spicy inner monologues. MPAA Rating: Rated R for language and sexual content throughout, and some drug material.